‘Anyone who fears that the whole human race has been turned out on the same assembly line had better make the acquaintance of Eloise. She is the raw material of genius.’ – New York Herald Tribune Book Review. Accompanied by her English Nanny, loyal pug, and pet turtle, Eloise enjoys spending her days riding the elevator, adding her crayon art to the walls, and avoiding homework at all costs. Selling over 150’000 copies within the first two years of its publication, Knight’s protagonist went on to become one of the most influential and iconic characters of children’s literature, brought to life by Hilary Knight’s brilliant illustrations, combining child-like wonder with warmth and comedy. A bright copy of this wonderful book – in French – a collection of physical and scientific experiments for childrenand adults, which Good originally wrote as a series of weekly articles for the French magazine, L’Illustration. Profusely illustrated throughout with numerous engravings, frequently described as ‘surrealist collages’. Good’s experiments include geometrical demonstrations, crafts projects, and physics experiments, all of which can be carried out with everyday household materials. The character of Paul Bunyan originated in folk tales circulated among lumberjacks in the Northeastern United States of America and eastern Canada, first appearing in print in a story published by Northern Michigan journalist James MacGillivray in 1906. A larger-than-life folk hero who embodies frontier vitality. He is a symbol of might, the willingness to work hard, and the resolve to overcome all obstacles. 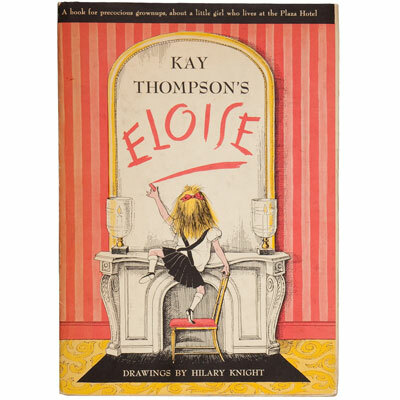 This limited edition is wonderfully Illustrated with full page colour plates by Everett Gee Jackson, and housed in original slipcase and chemise. Illustrated with wood engravings, including frontispiece. A potpourri of informational and inspirational writings, with much on missionaries in far off lands, "The profits to be devoted to Sunday School Objects." Lithographed by David Vedder’s son-in-law Frederick Schenck (Schenck & McFarlane, Edinburgh), and considered on its appearance ‘the best edition of this famous story yet presented in England’ (London Literary Gazette, 1852). Illustrated by Gustav Canton of Munich and Dusseldorf, with 9 two-tone lithographic plates, 5 colour lithographic plates, 1 in-text engraving, 8 vignettes, and 19 decorated letter pieces. ‘Vedder’s book is splendidly illustrated by the German artist Gustav Canton, but modestly so and in keeping with a text which has been carefully expurgated and made suitable for decent young people... Vedder’s text is based on the 1706 English verse translation of Hartmann Schopper’s 1569 Latin text, this, in turn, is based, via a 1544 High German shortened translation, on that of the 1498 Lübeck Low German, and thence back to the Flemish on which Caxton drew.’ - Kenneth Varty, Reynard the Fox: Cultural Metamorphoses and Social Engagement in the Beast Epic . ‘The illustration of Reynard the Fox, will always be a tempting one to artists who possess the gift of humorously indicating human character, passions, follies, and infirmities, in brute form. This power is in the command of Gustav Canton ; whose humour, readiness, and clever combination, are considerable, — marred, however, by an unfortunate vulgarity of artistic style, at any rate as represented in these lithographs.’ - Review of this edition in The Spectator, January 1847. A smart copy with the same pictorial covers and 52 full page monochrome illustrations by Riou as the first English edition of 1871. Journey to the Centre of the Earth literally plunges the reader into the centre of the earth through vivid description, detailed explanations, and the "eyewitness" accounts of the narrator. On the most basic level, Journey is an adventure story, a tale of the obstacles, encounters, and wonders.